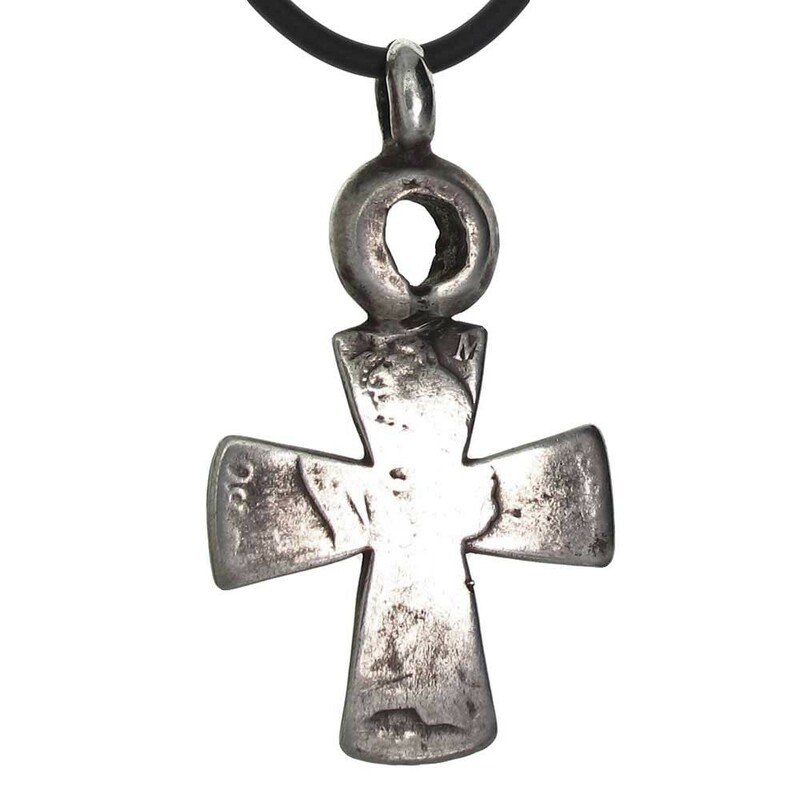 A fascinating relic, this Ethiopian cross was cut from a coin known as a silver thaler. Minted in Austria in the 1780's, it features Maria Theresa, empress of Austria and mother of Marie Antionette. The reverse shows the coat of arms of Austria. Because of its uniform weight and purity this was the most widely traded coin in northern Africa for more than 150 years. 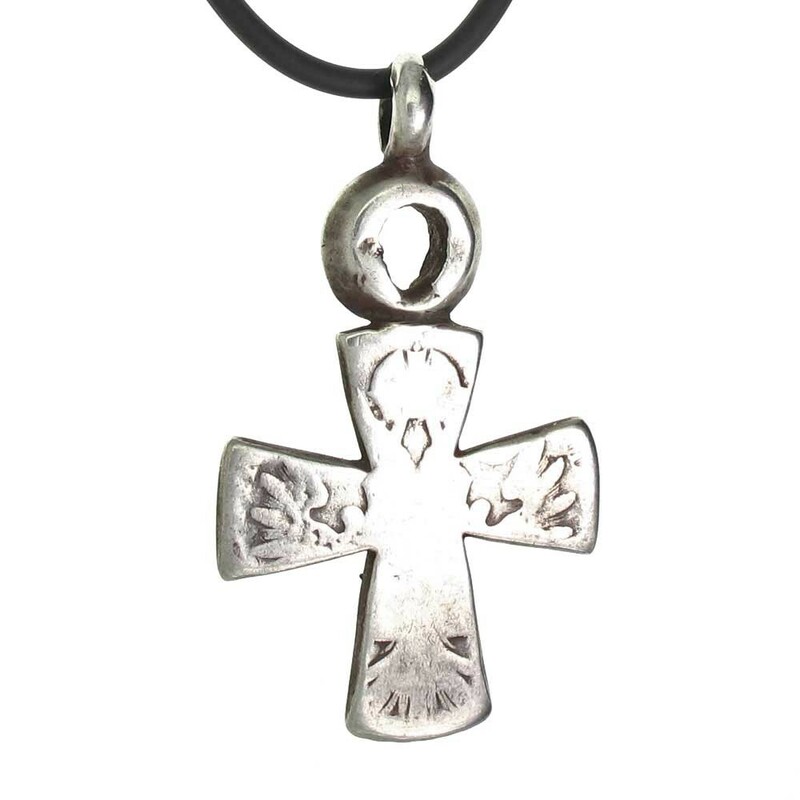 Many of these coins were melted down to make jewelry in Ethiopia, including our other antique Coptic Christian crosses. This is a great example of a cross cut directly from this coin. This cross was probably made in Ethiopia in the early 1800's. The cross will come complete with your choice of necklace, a Certificate of Authenticity and descriptive brochure about this fantastic relic.